You are Splorf, Space Corp Sanitation Engineer 5th Class, Lavatorial Division. A small yet vital cog in the corporate machine. You are good at your job. The rumors have reached even the lowest levels of Methane Station; the harvest ships have brought disastrous news concerning the defensive system protecting Space Corp's interests from space pirates and fierce competitors! "You there", a middle manager shouts at you, "Commander Splix needs a volunteer! Get your lazy plarp up to level 17 immediately!" 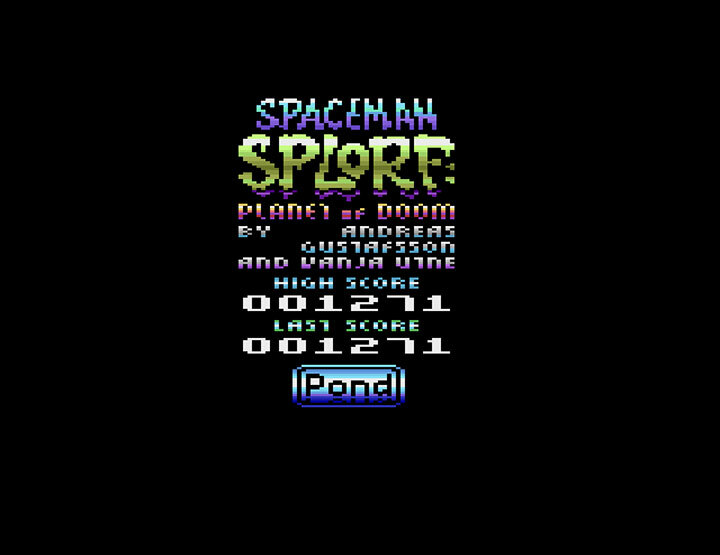 Working quickly to fix the damaged shield generator before evil space pirates steal the precious gas resources from the planet below, you suddenly see your company issued spanner drifting off towards the planet. 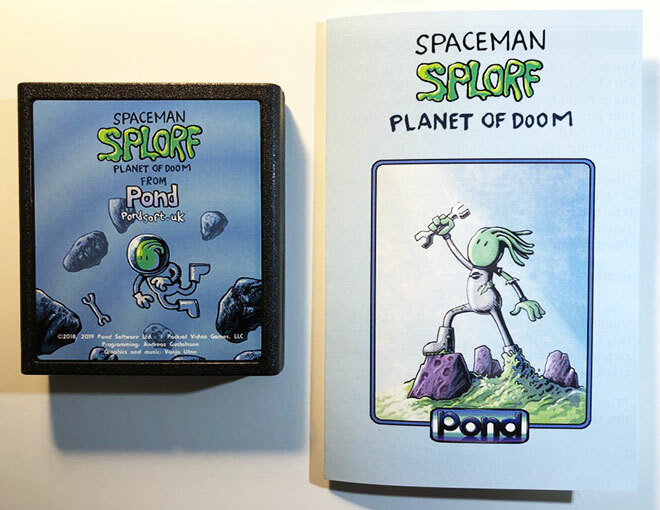 Comes with cartridge and full-color manual. 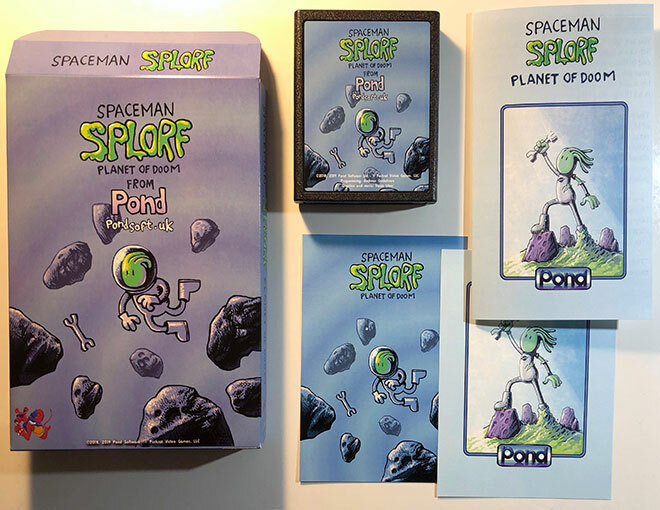 LE Boxed Edition also comes with a full color box (of course), and Splorf art cards. 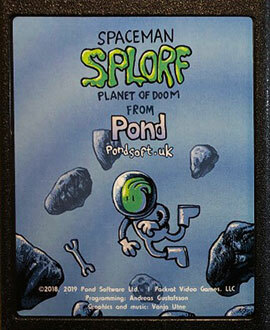 A Limited 'boxed' edition of 100+ Spaceman Splorf games will be released starting soon (shooting for Mid to Late April). 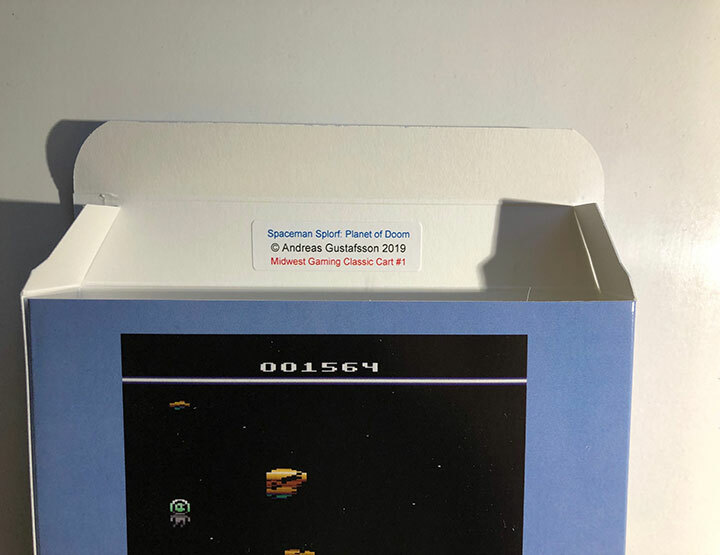 Once sold, only the cart / instruction only option will be available.